We are a local removals and storage company based in Southampton. We cover the whole of the United Kingdom and offer with every move, FREE PACKING BOXES, TAPE AND WRAPPING PAPER. We can undertake any size of removal, from a single wardrobe, to a ten bedroom mansion. All our vehicle’s have built in garment carriers, to stop your precious clothes from getting creased and offer a dismantling and assembly service. 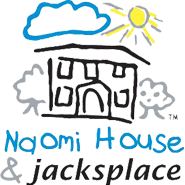 WE OFFER A FURNITURE DISPOSAL SERVICE, WHERE IF THE FURNITURE IS IN GOOD CONDITION WE DONATE IT TO OUR CHOSEN CHARITY, NAOMI HOUSE OR IF IT NEEDS DISPOSING WE TAKE IT TO LANDFILL. Why Choose Us for Removals in Southampton? Please contact us with your requirements, and we will be more than happy to assist you. From the It’s Your Move depot in Fair Oak, the company’s fleet of transporter vehicles are maintained and cleaned in-house, ready to be rapidly dispatched and serve. Our staff are uniformed and adhere to a strict professional code of conduct during all our moves. I’d just like to thank you and your team for our house move. The care taken with our possessions made us feel so much less stressed than we expected on moving day. We came to you in a fix as we were let down by another company, you stepped into the breach and from start to finish you have promised and then delivered with every aspect. We are now settled in and enjoying our new home, not fixing breakages and polishing out scratched furniture. “Bob and his team moved us from Fair Oak to Whiteley on 2nd September. I couldn’t have asked for a more professional, polite, hard working and good humoured group of people. They faced many challenges with a huge amount of household goods to move, and then a delayed entry into the new property. Bob and his team constantly took our needs and wants into account and were completely accommodating. If I had been moving us I would have had a sense of humour failure several times, but they coped with all that came their way! Objective problem solvers to the end of the job, and good value. They cost nearly half of some other quotes we had. “Many thanks for moving a piano for me today at short notice. A friend recommended you to me, and I had seen you in action at someone else’s house move (and they only had good things to say about you guys…) so I was confident that you’d get the job done. You were friendly, helpful, and I was impressed at how well you communicated and worked as a team.